Default Site Map - Housing in Boulder CO, Rentals, Real Estate, Homes and More! 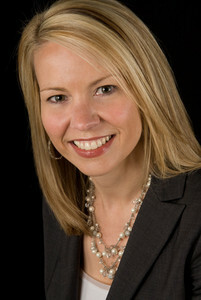 Stephanie knows Boulder County real estate and beyond! For more information on any these properties or to schedule a showing please call Stephanie at 303-641-7484. Our Boulder Realtors are dedicated to your real estate success. From corporate relocations to home buyers and sellers in Boulder County. We put years of experience behind your decision to buy or sell your home. Our Boulder Realtors have the expertise and technology to make your transaction a success. Put out award winning Boulder Real Estate Team to work for you. Our Boulder real estate team has been recognized by their peers and their customers for their industry leadership and sales acheivements. We believe that outstanding teams produce outstanding results, and that's why we have assembled only the best in the Boulder real estate business. We can help you buy or sell a home in Boulder, and throughout the country. We are members of a network of relocation companies that adhere to a high level of standards for the corporate transferree and relocating professional. So whether you are relocating to Boulder, or unfortunately moving from Boulder to anywhere across the country, our real estate customers receive the same level of services anywhere their travels take them.